Here at Air Conditioning Excellence, Inc., we know how important it is for your business to have a working AC. After all, air conditioning keeps both customers and employees comfortable and preserves highly sensitive equipment. When your air conditioner is having problems, you can trust us to provide the best Whirlpool commercial AC repair Fort Lauderdale FL. AC Excellence has been in the business for over 30 years. We fully know the ins and outs of Whirlpool equipment and know what it takes to bring your unit back to optimal condition. Our HVAC technicians have the best training and tools available. If you’re ready to receive Whirlpool Commercial AC repair Fort Lauderdale, give us a call. If you’re not yet certain whether your situation calls for AC repair, try reading the following useful information. We’ve compiled it based on the biggest HVAC issues our customers regularly face. 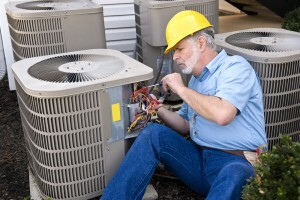 Your air conditioner needs refrigerant to do its job of keeping your place of business cool. And it needs to have just the right amount. Too much or too little impair cooling capacity. If the latter is the cause, the unit can continue leaking until a total failure occurs. It’s best to address the issue before it gets too late. Call us and we’ll send a technician at any time to perform the appropriate Whirlpool commercial AC repair Fort Lauderdale Florida. We’ll carefully review your HVAC to diagnose the problem, fix it, and charge your unit with the right amount of refrigerant. An air conditioner cools because it utilizes electrical systems that automatically regulate indoor temperature based on programmed settings. If these controls fail, your air conditioner simply won’t cool–even if it’s still able to turn on. 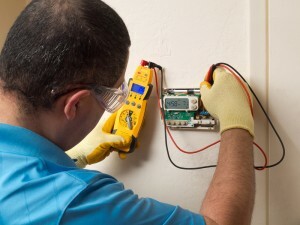 So if you’re not feeling and cooling effects, you may be experiencing electrical failure. Since these issues can’t be effectively diagnosed from simply looking at the outside of the unit, you need an experienced tech to get to the bottom of the problem and provide Whirlpool commercial AC repair Fort Lauderdale. Reach out to us without hesitation at (954) 368-0655. Condensate formation is just a natural byproduct of your AC. It should be cycled out through the condensate drain. But if the drain breaks, leaking can occur. This leaking poses a threat to your property and your health. If you suspect a condensate drain leak, it’s best to call for assistance immediately before the situation gets out of hand. Because of our experience with these cases, we can service your air conditioner efficiently and swiftly. If you end up needing a new air conditioning unit (check out this article to know when to replace), we help you get one conveniently with flexible financing plans. It doesn’t matter if your AC breaks down late at night or on a weekend. We offer 24/7 Whirlpool commercial AC repair Fort Lauderdale Fort Lauderdale Florida. It’s no wonder we’re the #1 resource in South Florida for commercial AC. Call us today! (954) 368-0655. Share the post "Whirlpool Commercial AC Repair Fort Lauderdale Florida"